For many years now, I have spe­cial­ised in using acu­punc­ture for treat­ing chron­ic fatigue and post vir­al syn­drome in teen­agers and adults. In this video, I dis­cuss how I use Japanese acu­punc­ture for these debil­it­at­ing con­di­tions as well as for oth­er forms of fatigue. 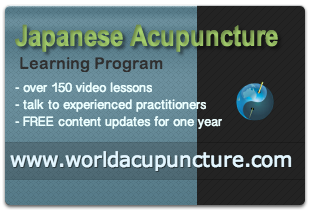 Read the full tran­script of this video on our Gold Coast Acupuncture site.